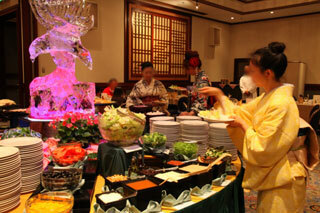 We had an yukata party in September in Tokyo. 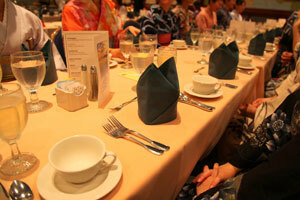 It was all-you-can-eat buffet, and we enjoyed them! Her obi is made in Kiryu, and she’s also from Kiryu-city. Kiryu was used to be a major production area of Meisen kimono. Kiryu-city is about 2hours by train, and she took the first train in the morning to join our party!! Her’s not yukata but kimono! yellow kimono when she becomes 80! in a yukata, traditional Japanese way! 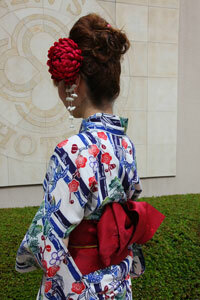 She had just come back from a kimono show held in VietNam! Her yukata is a Tokyo bingata-dyeing. She wore a kimono and can you see its pattern? 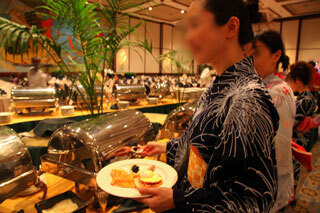 Her yukata’ s pattern is goldfish, and traditional style! Goldfish pattern is still popular among Japanese women. Her yukata’s pattern is also tradtional, and dragonflies on it. Her obi is famous and popular Hakata-weaving obi. Which type of yukata is your favorite? Thank you for joining the party!!! 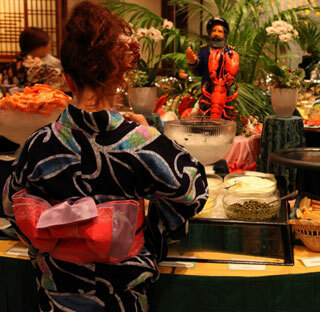 ← Yukata Rental is available for the party!